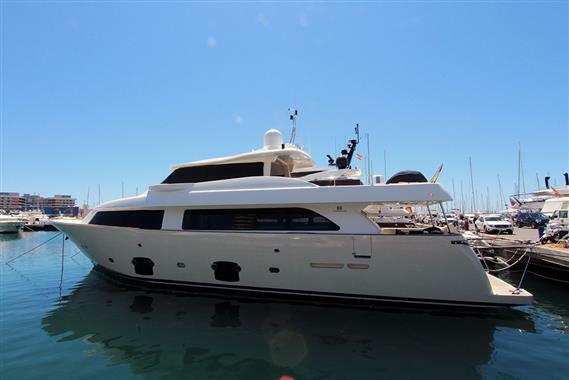 Very nice Custom Line Navetta 26. Built 2009 with 2x1100 hp MAN. Accomodation for up to 12 in 5 cabins all ensuite plus 2 crew cabins with 2 bathrooms. Crane for tender on upper deck capacity 800 kg.